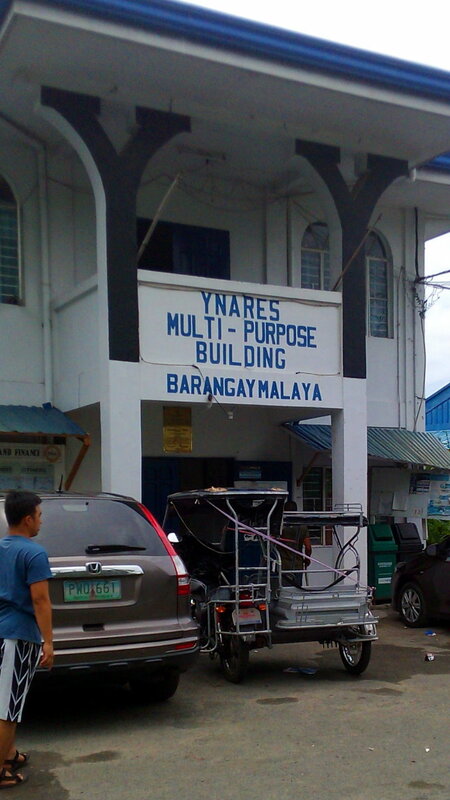 Arriving at around 6:30 AM, I registered at the barangay hall of Brgy. 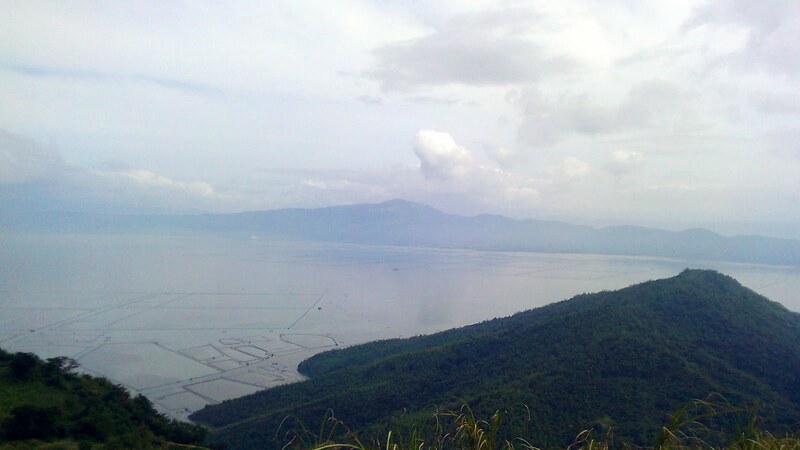 Malaya, just along the National Road. 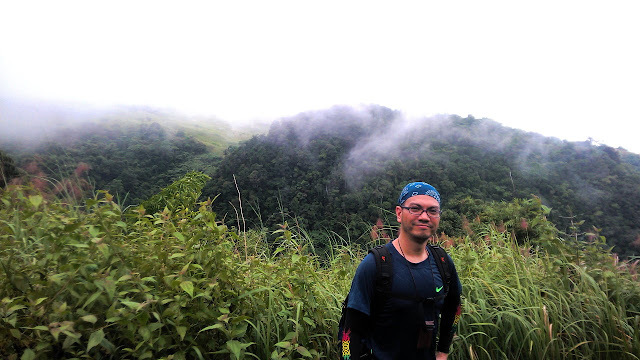 After a few minutes of preparation, together with my guide, we started the trek at about 6:45 AM. The actual trailhead is located a few meters away, right at the very end of Belleza Road. 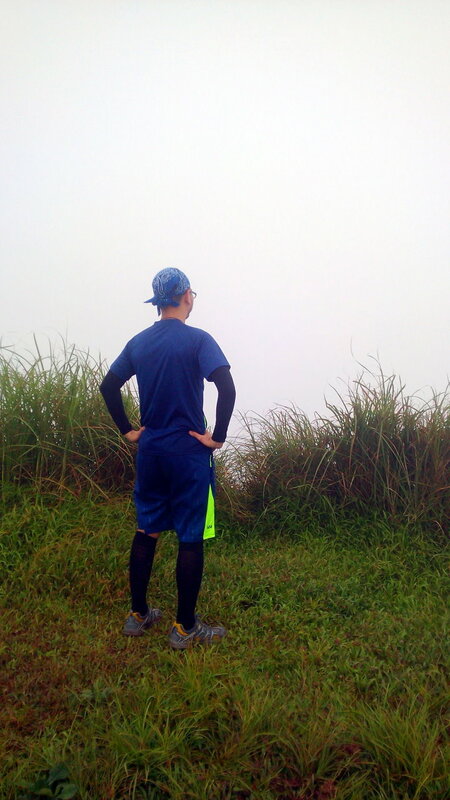 Along the road, one can already see the peaks of Mt. Sembrano. Since it was drizzling that morning, the peaks of Mt. Sembrano were covered in swaths of clouds, foretelling what I would find as I reach the summit. Less than an hour after starting the hike, we reached Manggahan campsite. Here is where most campers pitch their tents to spend the night before assaulting the summit. The trail towards the Manggahan campsite is quite easy and straightforward. The slopes are mild and there are several flat grounds along the way. The whole trail towards the campsite is nicely covered with mostly second-growth forest. 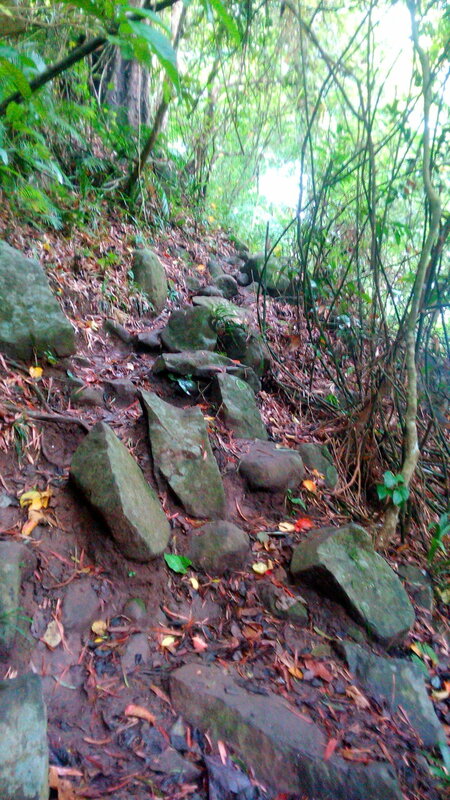 The paths are full of large chunks of rocks (which actually runs almost through the entire forest trail). Fresh buko juice and cool drinks are sold at Manggahan campsite, with several benches for resting and flat grounds for pitching tents. 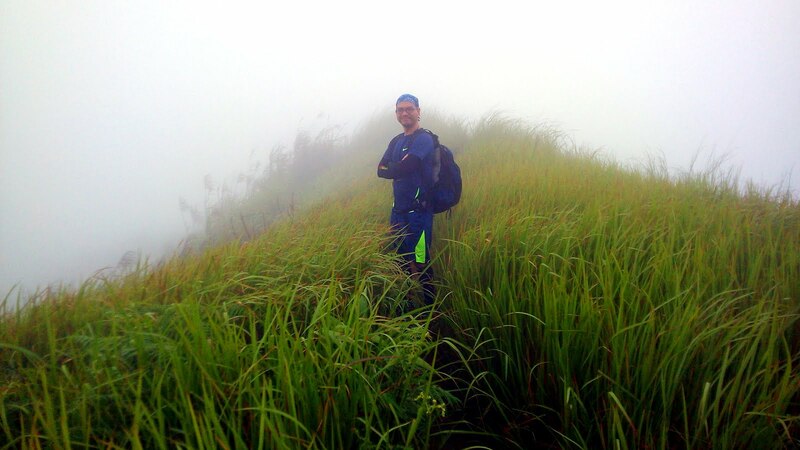 After around 15 minutes of stopover at the campsite, we resumed the hike at around 7:45 AM. 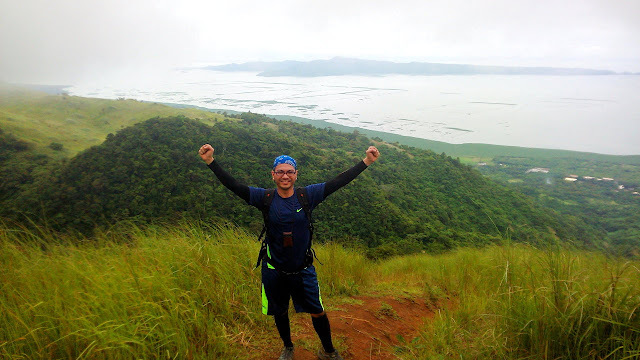 After the Manggahan campsite, expect the trail to be constantly ascending, with very few flat grounds in between. The forested part of this trail is still characterized by large chunks of rocks embedded in the ground. Certain portions of the trail may require a bit of scrambling. 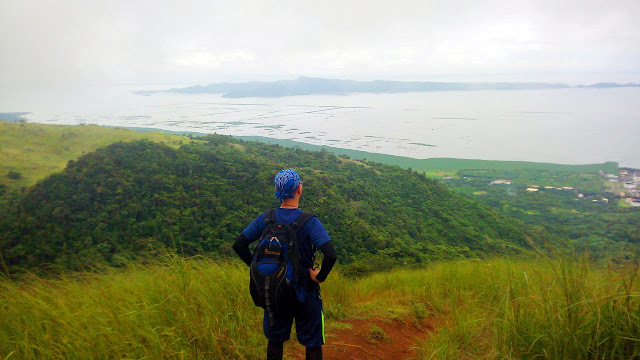 After about 30 minutes of trek through the forest, the trail opens into a wide grassland with great views of the Laguna Lake and the surrounding areas. This marks the start of the grassland trail. Rocky trail on a moderately steep slope. Most of the forest trail looks like this. The North Peak is about 10-15 more minutes away from the start of the grassland trail. Here is another flat ground with enough space to accommodate several tents. As expected, the peak is covered in a swath of fog covering the view. The air is also quite chilly and wet. 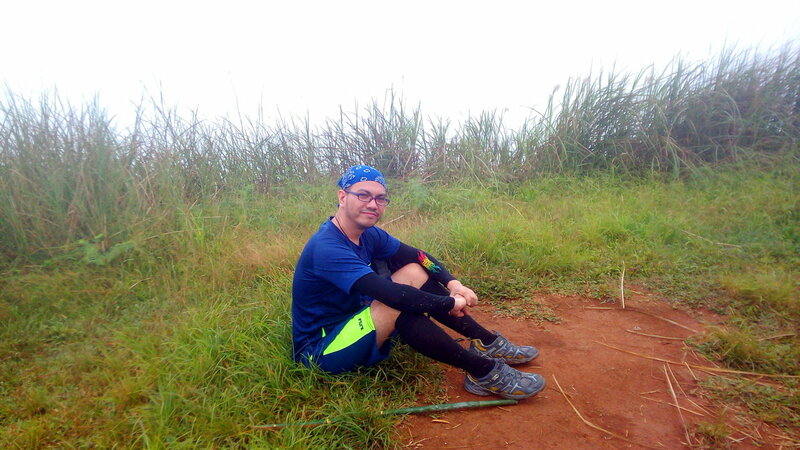 A few minutes of rest and we pushed on to the South Peak which is the actual summit. 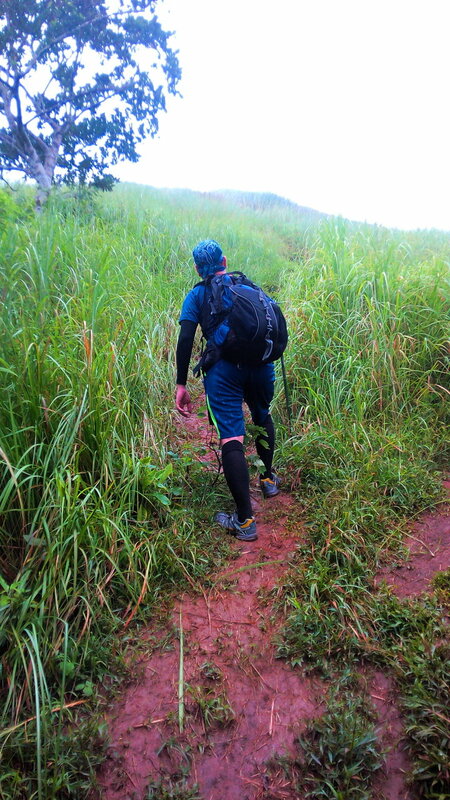 Along the way, the wet soil of the narrow trail can be slippery, and the tall cogon grass can be taller than a person, obstructing the view. 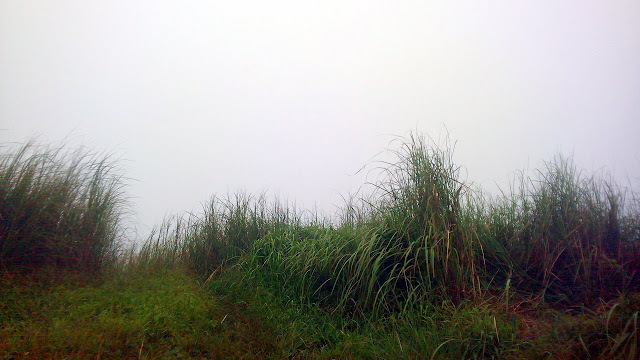 The wind can also be strong in this part of the trail, and together with the wet fog, makes the temperature drop. About 10 minutes away from the North Peak is another flat space with enough room for several tents. This area like most of the trail in this part, are covered in long and tall grass. 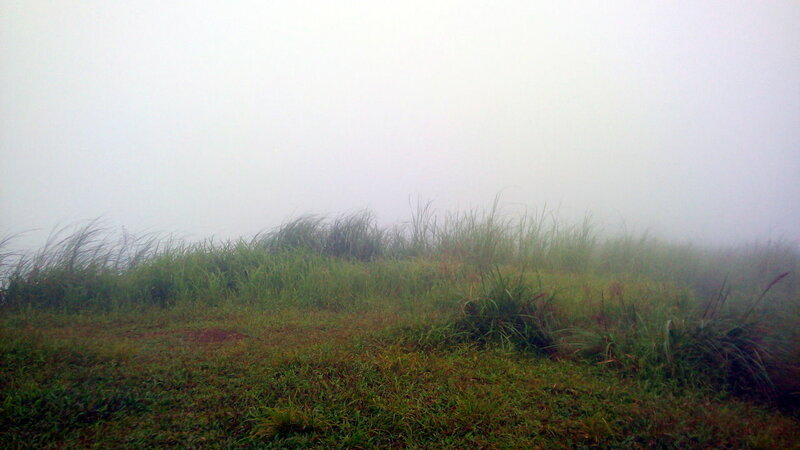 I got a glimpse of a bit of a clearing at this point when the wind blew the fog cover away and revealed the lake shore and Talim Island for a brief moment. Pushing on, we reach the summit at the South Peak at exactly 9:04 AM, about an hour and 20 minutes after we left Manggahan campsite. There we waited hoping for the fog to clear, but alas! No luck! After around half an hour we decided to start the descent. Waiting for a clearing. No luck! 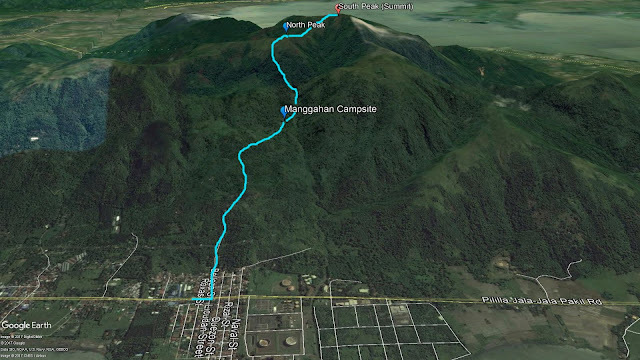 Back trailing to the grassland and forest trails, we reached Manggahan campsite at around 10:20 AM. I rested and ate my lunch while my guide went to join his friends at the hut of the campsite caretaker. 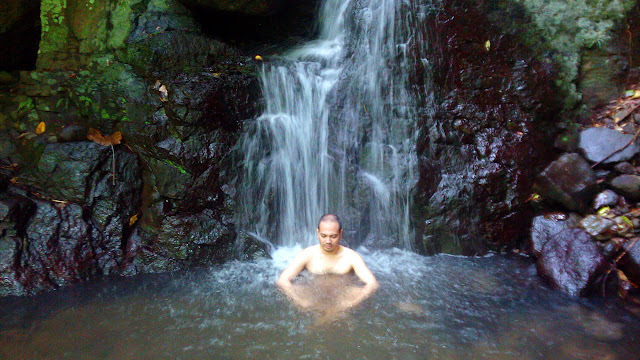 After resting, I decided to go to the falls. It was just a few short minutes away from the campsite. 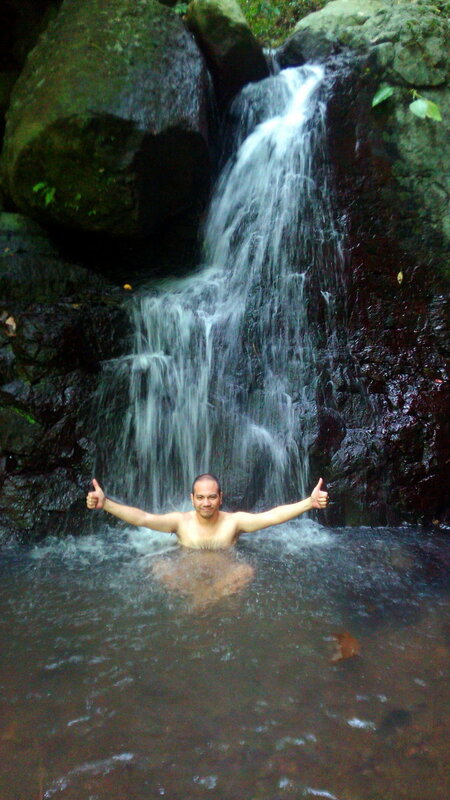 With the rest of the hikers still on the mountain, I had an exclusive time at the falls. 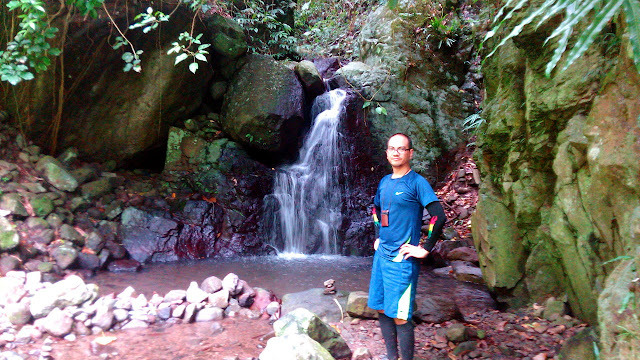 Manggahan Falls is just small but it is a welcome respite for my tired legs. The water was invigorating and refreshingly cool. The forested surroundings and the sounds of insects, rustling leaves, and falling water create an exquisite atmosphere of peace and serenity. After enjoying the falls and relaxing a bit at the campsite, I decided to head back to the registration. 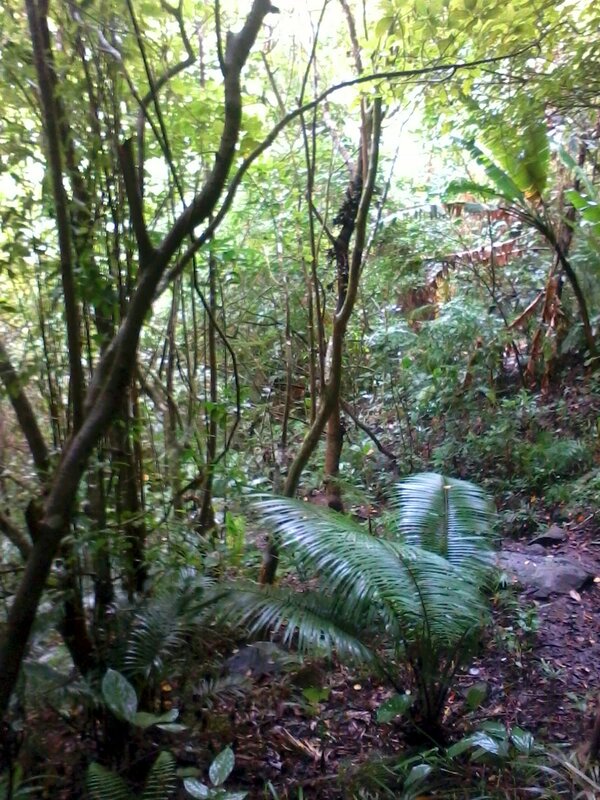 At exactly 11:40 AM, we started the descent, backtrailing to the barangay. 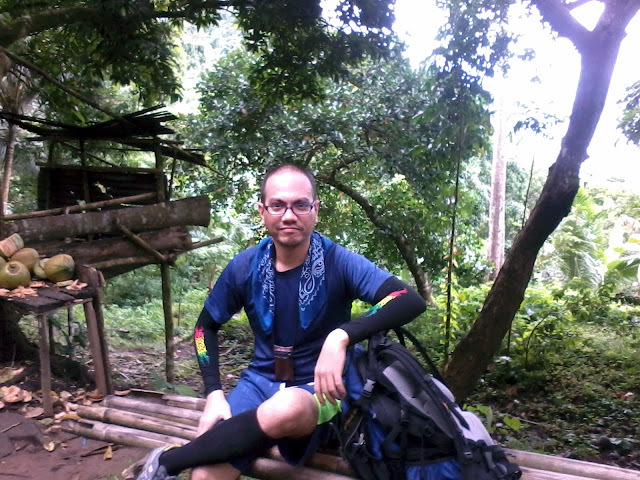 We reached the barangay hall at exactly 12:13 PM and logged out, completing the dayhike. Mt. 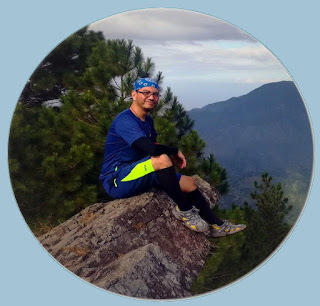 Sembrano is known for its challenging rocky ascending trails, stunning views and exposed trails. Hiking on hot, clear days rewards hikers of the views but puts extra strain on them with the extreme heat. Hiking on cool and rainy days negates this challenge but compromises the views. Which would you prefer? From EDSA Shaw Blvd., ride a UV Express van at Starmall bound to Tanay Market (Php. 70.00). 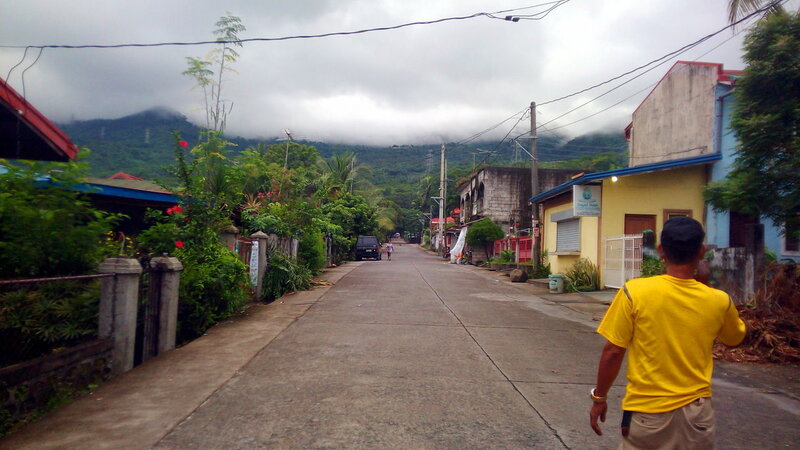 get off at Tanay Market and ride a jeep bound to Brgy. Malaya and ask the driver to drop you off at the Brgy. Hall (Php. 22.00). Registration is at the Brgy. Hall.